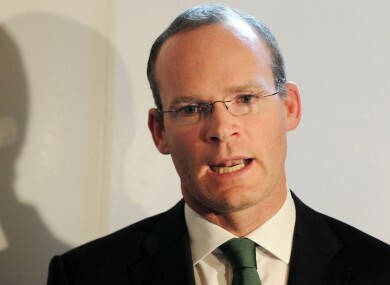 Minister for Agriculture Simon Coveney. THE IRISH FARMERS’ ASSOCIATION (IFA) is currently holding an emergency meeting to discuss proposed changes to payments given to farmers through the Common Agricultural Policy (CAP). On Monday, Minister for Agriculture Simon Coveney signalled success in talks with European Union agriculture ministers, who he said broadly supported most proposals tabled by the Irish Presidency. However the IFA has said that the proposed changes to the way in which direct payments are distributed will have serious consequences for Irish farmers. Speaking to TheJournal.ie this afternoon Deputy President of the IDA Eddie Downey said the national council called the emergency meeting because they “feel that the minister is letting us down with these negotiations”. Downey said farmers on the average payment of around €250 per hectare are looking at cuts of between 40 and 60 per cent of their payments and for some livestock farmers that represents 100 per cent of their income. “There is a positive vibe out there for farming, young people want to come into it but if they don’t see the benefits they’ll emmigrate,” he said. In the meeting this afternoon Downey said the national council will put together a plan of action to “concentrate the minds” of the general public and the European Union. “The public are important to us and we think we’re important to them so we want to let them know that farmers are in trouble and let those in Europe know that while the minsiter appears happy, we most certainly are not,” he added. Email “IFA holds emergency meeting, claims minister is 'letting farmers down'”. Feedback on “IFA holds emergency meeting, claims minister is 'letting farmers down'”.